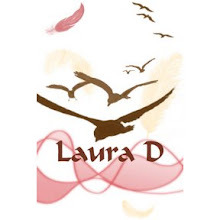 Laura D McBryde: Welcome to a New Year! 2016! A brand new, sparkly clean year. Ready to be muddied up with all sorts of crazy new memories. Hopefully good ones, like making mud pie, or perhaps Button Soup...but I'd need a button...and some onion...and it'd taste better with a carrot. Bud and I watched Sherlock: The Abominable Bride. The sight of Tim McInnery and a woman in a white gown and veil had us worried that my "Strange Case Of Sherlock Holmes and Arthur Conan Doyle" photo would pop up! Alas...no. The BBC does own the rights though so I wouldn't be surprised if it pops up somewhere, sometime.